Everybody loves a homemade gift. Whether you’re given a crochet scarf or a handmade card, homemade gifts make you feel a little extra loved and appreciated. I mean, don’t get me wrong; I would love a brand-new pair of shoes. But nothing beats a homemade gift because it means somebody spent their time and energy crafting a personalized gift just for you. Although receiving homemade gifts is wonderful, crafting one is even better! When you create your own gift, you’re showing someone that you care about them so much that you’d go above and beyond to make them happy. And when you’re married or in a relationship, it’s always important to show your appreciation for your significant other on special occasions (and every other day, really). So, if you’d like to make your man feel special on your anniversary or his birthday, I’ve compiled this list of Our Top 5 Homemade Gifts For Men! 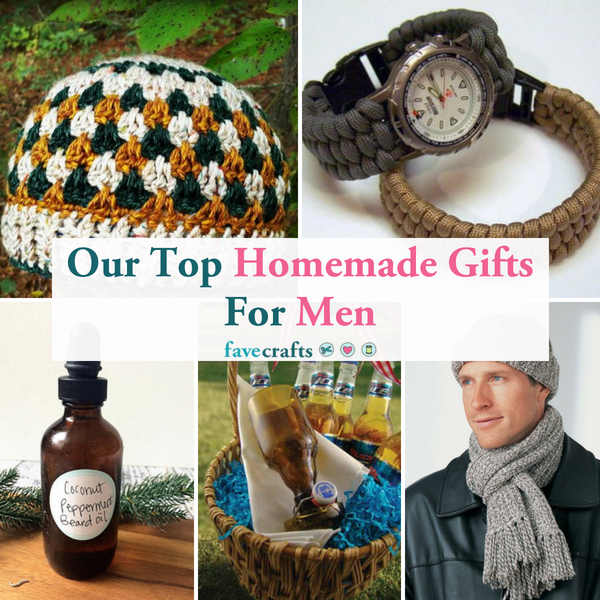 With any of these homemade gifts for men, your special guy will see that you’ve dedicated a lot of time and energy to creating his present. He’ll know that you really love and appreciate him. And he’ll be so happy that he might cry tears of joy! 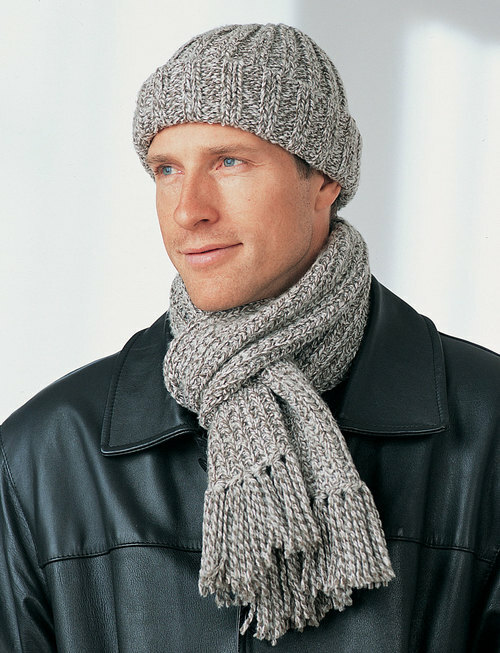 Everybody needs a warm and cozy hat and scarf, including your boyfriend or husband! If your man is someone who never wears winter accessories, then he’ll definitely need this lovely crochet set. Sometimes, practical items are the best gifts, and your significant other will surely thank you once it’s wintertime! Every time that he leaves the house wrapped up in this hat and scarf, he’ll remember that you spent your time crocheting them for him. After all, crocheting is the best way to the heart! Does your boyfriend or spouse wear watches often? Are his watches beginning to look old and worn-down? If so, you should definitely craft this DIY watchband for your next special occasion! 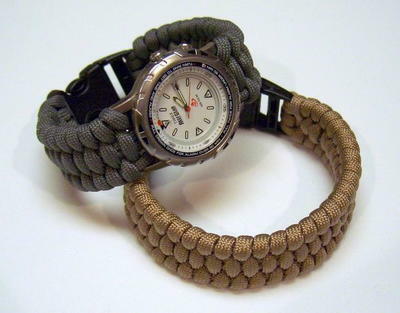 This woven watchband withstands all types of pressure, and it’s super long-lasting. This homemade gift is great if your guy works in laborious conditions. And he’ll look so fashionable with this watch that he’ll enjoy wearing it every day! While you might’ve never thought about gifting your man a self-care product, this DIY Beard Oil is definitely a gift that you should consider! Most men do not practice any form of self-care, so their skin and hair tend to be dry and rough. Beard oil is important because it moisturizes your husband’s facial hair and the skin beneath it. 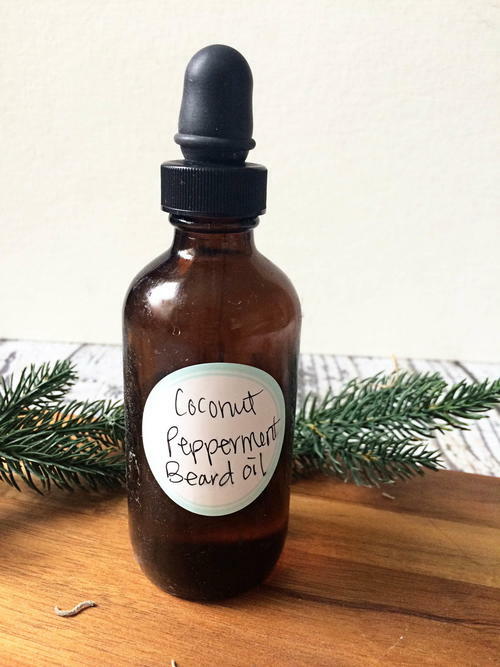 And if your significant other has wild facial hair, the DIY oil will help tame that too! So, although your spouse/boyfriend might not immediately appreciate it, he’ll definitely thank you later. Is your husband or boyfriend a beer enthusiast? If so, this DIY bottle holder is a must! 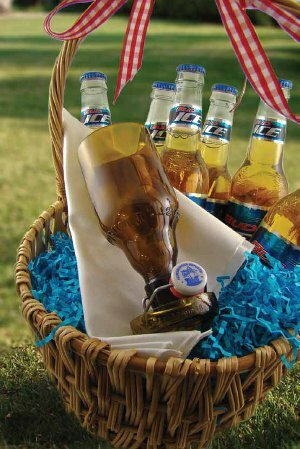 Whether he has a few friends over for a barbecue or you’re both enjoying a lovely day outside, this beer bottle holder will be super handy to him. With his beer holder, he won’t struggle to find a beer underneath all the ice. Instead, his drink will be easy to find and super convenient! 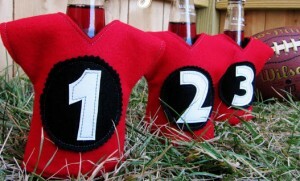 This DIY bottle holder will quickly become your favorite guy’s favorite, and he’ll carry it everywhere! Yes, I know that I’ve already included a crochet hat in this collection. But can you blame me? Crochet projects are always fun, and this hat is absolutely beautiful! If your boyfriend/husband loves the rustic trend, then he’ll wear this cap all the time. The hat’s lovely colors will bring out your husband’s best features, and it’ll keep him warm during the fall and winter. 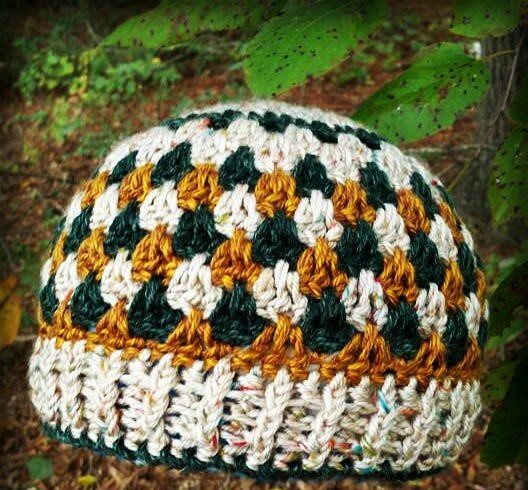 And imagine how handsome he’ll look in this crochet hat? You’ll be drooling over him! What homemade gifts have you crafted for your significant other? Let us know in the comments below! Whenever the holidays come around, I sometimes feel a sense of dread washing over me when I think about the many Christmas gifts I’ll need to get. People with big families know what I’m talking about. The thought of buying so many gifts can be slightly unnerving. That’s why I’m a big proponent of jar gifts. Gifts in a jar are the best strategy when you want to give something creative and special to everyone in your family (extended family included). 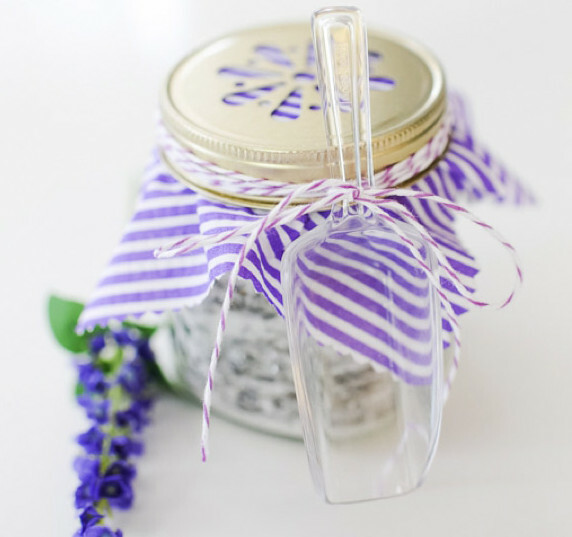 Jar gifts are beautiful, easy to make, and very inexpensive. You can dress up each jar pretty easily, too. Add a ribbon here. Glue on some holly there. When you’re deep into decorating Christmas jar gifts, the task becomes mechanical at some point, and you can crank out a whole crate full of jar gifts in no time. I often turn on a favorite holiday movie in the background, too. If I’m being honest, the hardest and most time-consuming part in coming up with the perfect jar gift is the idea. Great homemade gifts require thinking, and as Christmas gets closer and closer, time to think becomes less and less available. We all have so much to do! Whether we’re baking cookies or putting up Christmas decorations, there is never a dull moment in holiday preparation. This is why I LOVE lists. Did I make Christmas Cookie Gifts in a Jar last year? If so, then I’ll just gladly mosey on down to another item on the list. Making a list is quick. It’s convenient, and it lets you jump right in and tackle all of those gifts you still need to make. 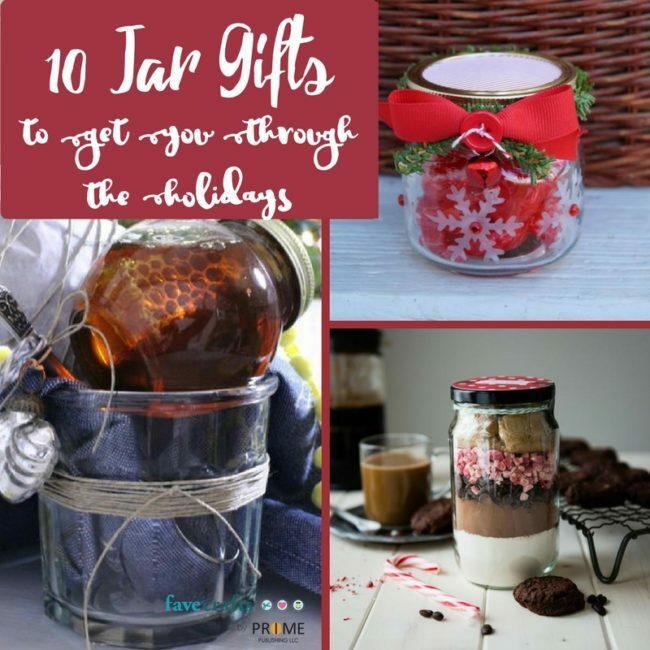 If you’re looking for EVEN MORE jar gifts to use this holiday, you really need to check out this 34 Holiday Ideas for Gifts in a Jar free eBook. I’ve told you my secret. How do you prepare for the holidays? It can be so hard to shop for your boyfriend around Valentine’s Day. All of the traditional fall-backs of the holiday just don’t apply to boys. The flowers and teddy bears and chocolates that they can shower you with on Valentine’s Day aren’t exactly gifts that men would want to receive. So what’s a girl to do? Well never fear! We’ve rounded up our favorite collections of Valentine’s Day Gifts for Him. And the best part about these gifts – they are all homemade! 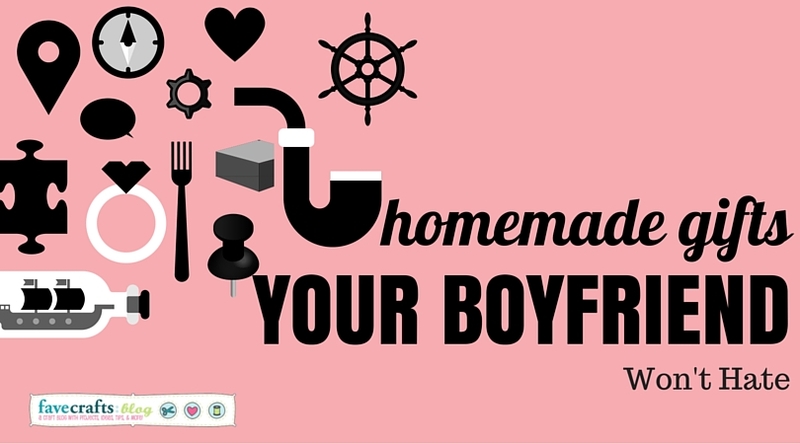 There is no better way to show the man in your life how much you care than by hand crafting a homemade gift for him. Homemade gifts require a lot of time, care, and effort. Because of this, they are the perfect physical representation of the love that you and your significant other share. So take your time and browse through this collection of gift ideas. We’re sure you’ll find the perfect gift to make for your boyfriend! Sure, a watch is a nice and respectable gift. But is it a gift that your boyfriend actually wants? We’ve done the research and assembled the 5 Homemade Gifts He Actually Wants. 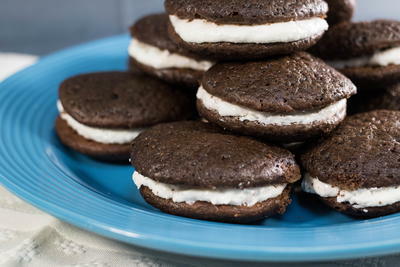 One of those gifts is an all-time favorite of ours: Giant Oreos! Because everyone knows that the way to a man’s heart is through his stomach. Check out the other four gifts he actually wants here! Is your boyfriend the type of guy who buys himself everything he needs, whenever he wants it? If so, then shopping for him can be a real struggle. That’s why homemade gifts are so great. Giving him a homemade gift means that you’re 100% sure that he doesn’t already own it! This collection of DIY Gifts for Boyfriend: 24 Paper Crafts for Guys Who Have It All has some great ideas for homemade gifts for your man. 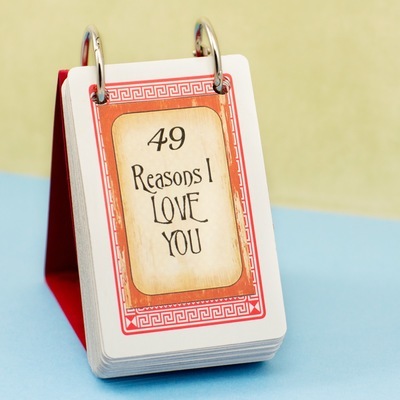 One of the cutest ideas is pictured below, 49 Reasons Why I Love You. It’s guaranteed to make your man’s heart melt! 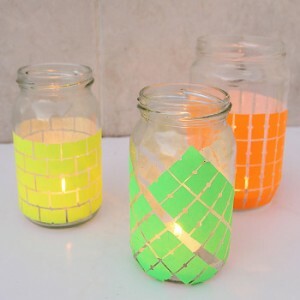 Check out more DIY gifts here! Still Stumped? We’ve Got MORE! If you’re still on the hunt for the perfect Valentine’s Day gift, then you’ve come to the right place. We’ve got 72 Valentine’s Day Ideas for Boyfriend, and we know that one of these will be the perfect gift idea for you! 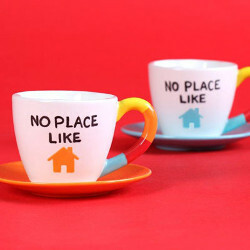 Just check out the adorable Tiny Painted Teacups and Saucers pictured below. Can’t you see yourself enjoying a warm cup of tea with your boyfriend? Check out more Valentine’s Day ideas here! Comment below and let us know, what gifts will you give on Valentine’s Day? Looking for the best DIY gift ideas? The holidays will soon be upon us, so it’s time to start making all of your handmade gifts. 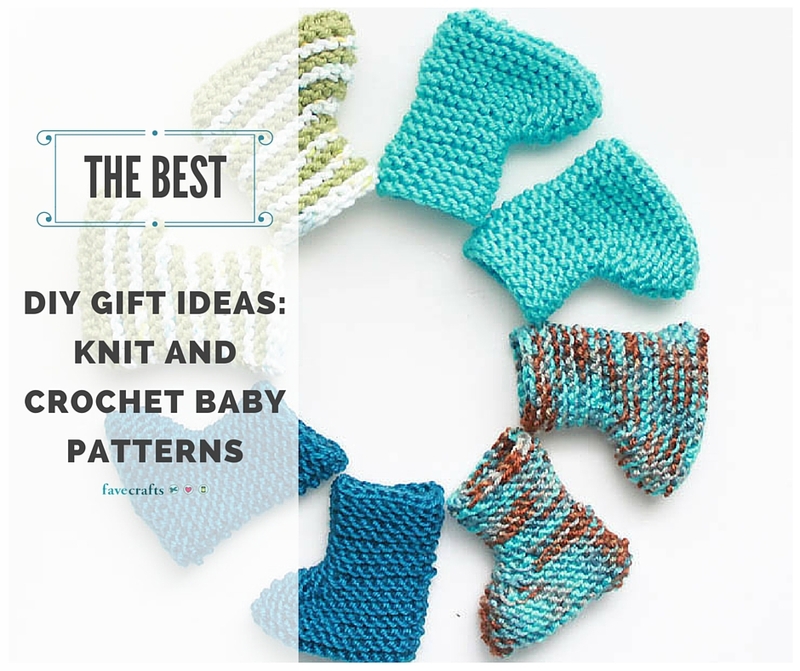 These knit and crochet baby patterns are the perfect gift for the little one in your life. There’s love and care put into every stitch, so these baby patterns are bound to be treasured! 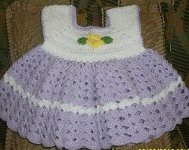 Making knit and crochet baby patterns as gifts for either the holidays or for baby showers is a great idea for so many reasons. They’re often much more inexpensive than buying the same item at a baby store or boutique. They’re also a great way to use up your stash of yarn. For instance, baby bootie patterns are super stashbusters – you’ll get through your stash in no time! We also love baby blanket patterns because they’re so snuggly and soft. Every little babe deserves a beautiful and cozy blanket for nap time. These gorgeous baby blanket patterns will make the perfect addition to any nursery or child’s room. Simply customize to the colors to your preference and get stiching! Any of these crochet baby booties or free knitting patterns will help you make the best booties! From fun designs to the basics that every baby needs, these free bootie patterns are a must-have. 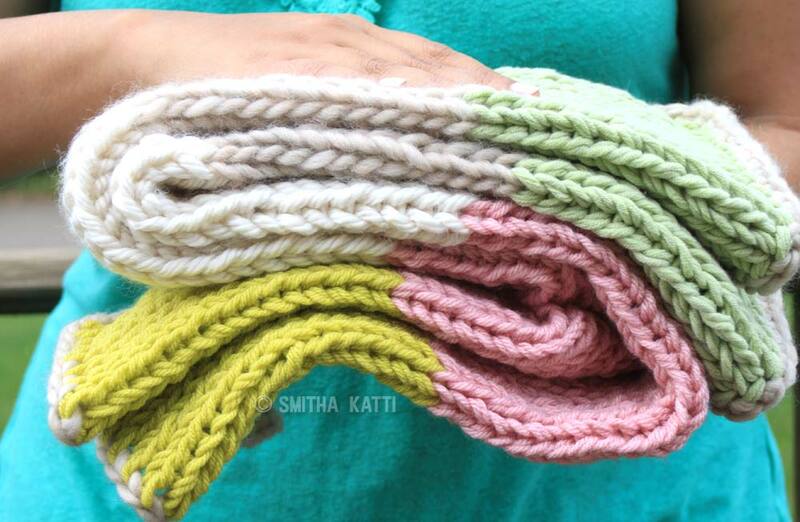 Knit or crochet up something warm and snuggly for the perfect handmade gift that will last for years to come! These free crochet and knitting patterns are extra fun for that lovable little one in your life. They’re one-of-a-kind gifts that are too adorable to resist! Which of these free knitting and crochet patterns would you make as a gift? Want to make a big impression at the next baby shower you attend? Here’s an ideas – give the absolute best gift. Sure, the new mommy is supposed to be the star of the show, but that doesn’t mean you can’t enjoy your own moment in the spotlight. Among a sea of store-bought items, your handmade gift is sure to stand out, and we think that’s awesome! What items meant the most to you when you were a tot? For me, it was my crocheted baby blanket. My mom received the blanket as a gift and it grew up right along with me. Handmade items are so much more likely to become keepsakes and leave a lasting impression on the recipient. Be that memorable person and make something meaningful for your next baby shower or celebration. Fair warning about sometime hormonal moms to be – they may not be able to contain their excitement, enthusiasm and appreciation. Today, we’re shining the spotlight on crochet baby patterns. 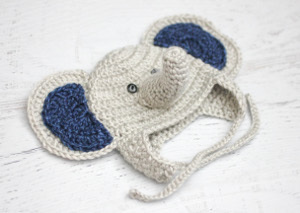 There are so many ways to make a delightful baby gift – all you need is a hook and some yarn. If you’re short on time, make a hat or toy. If you’re willing to put in a little extra time and effort, create an afghan or baby sweater. No matter, what the results are sure to wow everyone! The finished crochet piece will keep kids warm, toasty and comfy. New mommies – do you know what that means? Less crying and more (adorable) giggling from your bundle of joy. What could be bad about that? If you can’t crochet, you’re in luck – there are plenty of other ways to create adorable baby gifts. 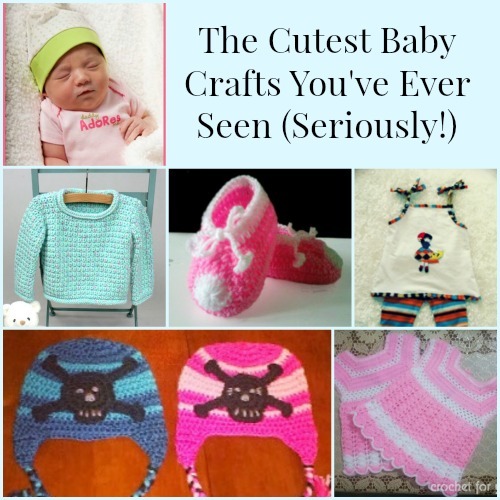 Knit, sew or craft something that a baby can wear or a new mom can display. Any hip youngster needs cool looking threads, so step up to the plate and make sure they don’t disappoint! Your homemade designs will make everyone say “Awwwww”, so prepare accordingly. Baby crafts are fun to make because they can be over-the-top, so experiment with bright colors and wild designs. 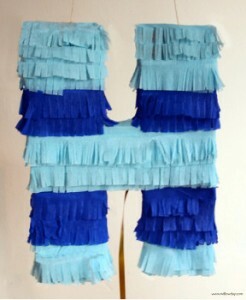 When it comes to DIY projects for kids the more eye-catching your design is, the better! What is the Last DIY Gift You Created? There’s something charming about monograms. 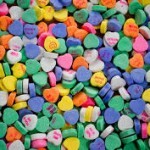 Personalization is practical and comforting to people, whether they be newlyweds, homeowners, or little girls and boys. It’s fun to see your name or initials on items you use daily, like a favorite coffee mug or pillow case. Plus, it’s so easy to keep track of monogrammed accessories. At AllFreeChristmasCrafts, we’re always looking for great gift ideas for the loved ones on your list. 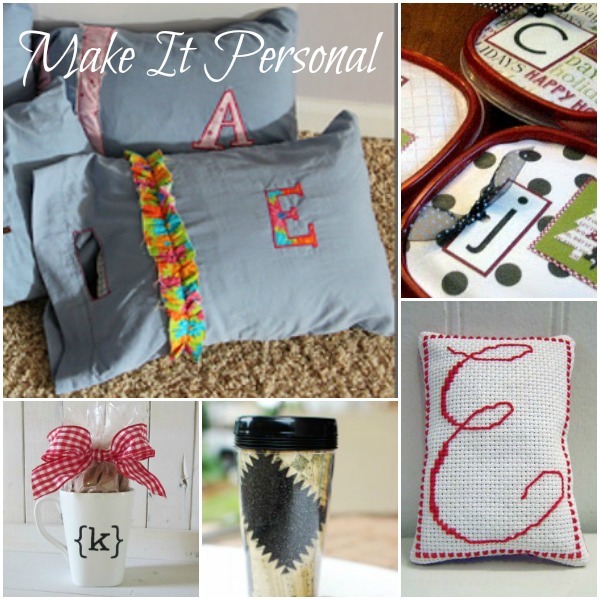 We have a nice collection of monogram crafts on our site, but there are tons of ideas out there. Check out a few of our favorites. Spring and summer are the most popular seasons for weddings, and often those invitations come with a hefty price tag. If the items on the registry are out of your price range, or if you find yourself scrambling for gift ideas, consider making a monogrammed gift for the happy couple. You can tastefully display the first letter of the couple’s surname on ceramics, such as these Personalized Mugs and Dishes. For a quirky and useful present, etch the couple’s last name on the bottom of a casserole dish, and there will never be confusion over which dish belongs to whom at family dinners. If you happen to be the bride-to-be, you can put together personalized treats for your bridesmaids or wedding guests. These Chalkboard Wine Glass Bottoms will delight your bridesmaids, plus they will give you an excuse to stop by for a glass of something sweet when you return from your honeymoon. And what about those lovely folks who came to help you celebrate? 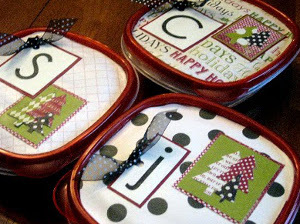 Fill these Monogrammed Treat Containers with mints, chocolates, and other tiny treats for your guests. Family and friends will appreciate these favors, which double as mementos, long after the candy is gone. 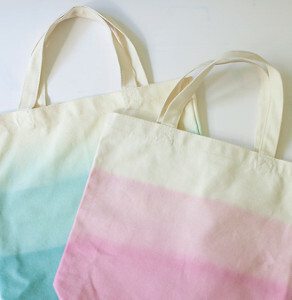 These traveler-friendly crafts are great for people who are always on the go. 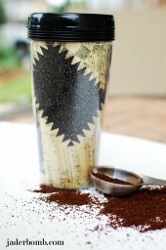 For instance, most travelers rely on caffeine to keep them energized, which is where this Personalized Travel Mug comes in. It’s reusable, easy to clean, and has your name written all over it–literally! Another fabulous and inexpensive gift is this Personalized Lip Balm. Cute and convenient, you can wear your lip balm around your neck when you make this fun craft. It’s especially great for scatterbrained people like yours truly. You can also make yourself or a loved one a personalized gift idea like this Monogram Sachet. Stow this darling craft in your suitcase so that every time you open it you’ll catch a lovely scent. If you’re traveling with a large group and storage space is limited, you can’t beat this Travel Pillow Case. The monogram will prevent any packing or unpacking mix-ups. Even if you can’t sleep in your own bed, your head will feel at home. 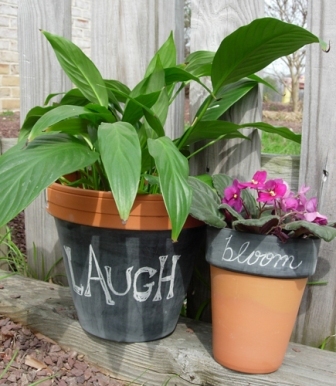 What type of crafts do you like to personalize? Ideas for teacher gifts aren’t always easy to find! Your child won’t want to bring in the same gift as a classmate; instead, help your little student make something homemade. Handmade teacher gift ideas are so exciting because they give you an opportunity to craft something totally unique with your kids. 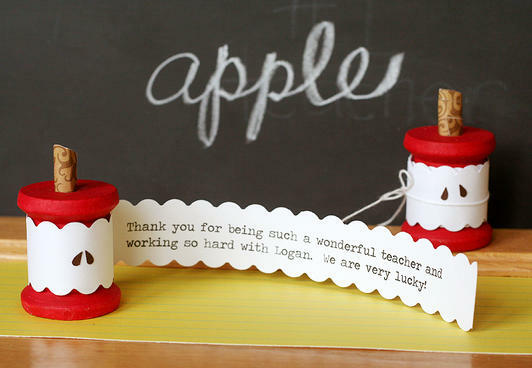 Thank your student’s teacher in a heartfelt way by crafting any of these awesome teacher gift ideas before the school year is over! Every gift should come with a card, and we have fantastic card making ideas to thank the teachers! 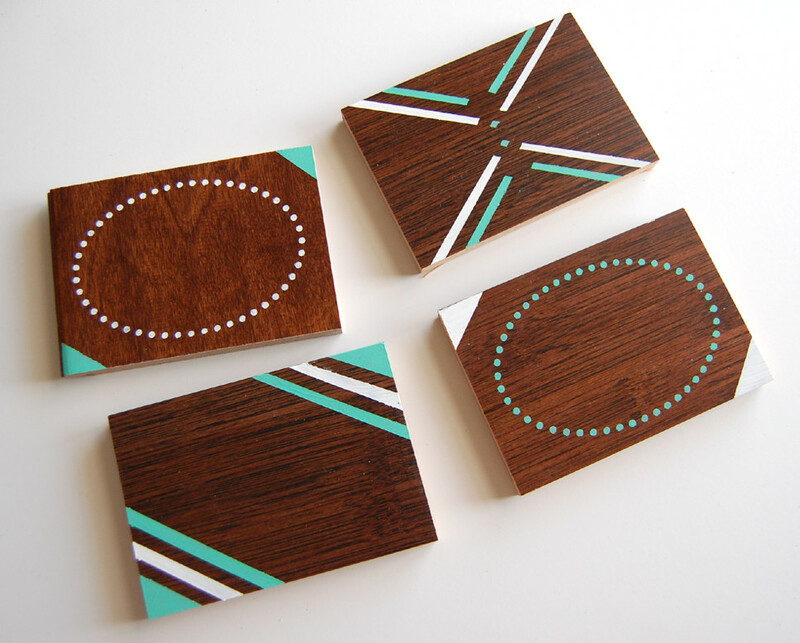 Get creative with your card making. A personal favorite is the Apple Core Spool Card. With a simple wooden spool and a cleverly attached piece of paper, this card is completely unique and charming. Find even more homemade thank you cards below! Anyone can pick up a gift card or a box of chocolates at the store, so why not surprise your child’s teacher with a gift that is completely original? 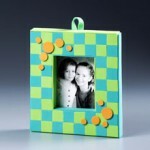 Use basic craft supplies to craft up a fantastic homemade gift. Mason jars are a popular supply. Use a mason jar to create a flower vase or a clever apple! 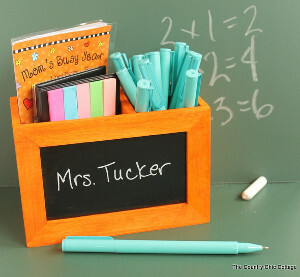 You can make pencil holders, classroom decor, sticky note holders, and more! 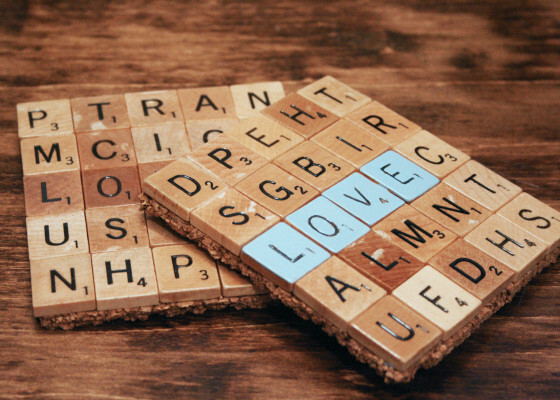 The best gifts are homemade, and we have an array of DIY teacher gift ideas to inspire you. 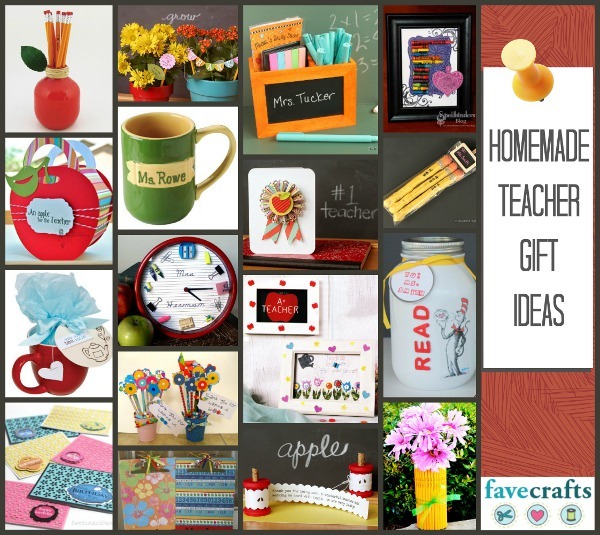 For even more marvelous teacher gift ideas, be sure to check out this collection of 21 Teacher Gifts: Bags, Kitchen Crafts, and More from FaveCrafts! Double bonus! 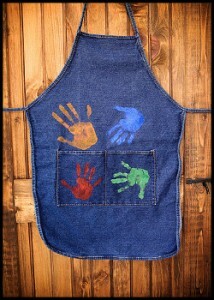 Our friends at AllFreeKidsCrafts have a collection of 28 Crafts for Kids to Make for Teacher Appreciation Week. Celebrate your child’s educators with any of these projects! Every once and a while, a birthday, baby shower, wedding, or holiday can sneak up on us. Even those with the sharpest memory can forget a date here or there. If you just realized you are in a pickle when it comes to gift giving, take a deep breath. 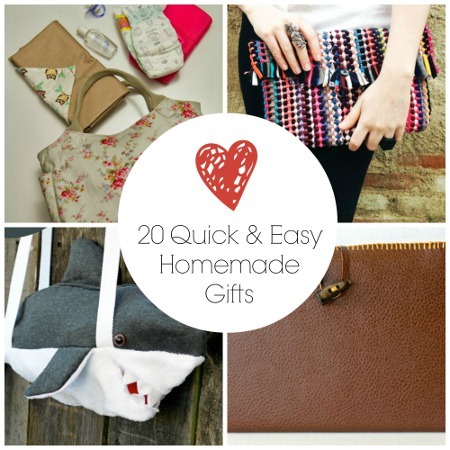 I have compiled this list of 20 Quick and Easy Homemade Gifts to help you out. No matter who you need to make a gift for, we have plenty of homemade gifts for you to choose from. I personally love making, giving, and receiving homemade gifts. They are just so thoughtful. It is so heartwarming to know someone put a lot of time and effort into a gift. That being said; making DIY gifts does not have to be time consuming. All of the projects below are quick, easy, and cheap. Bonus! If you love these purses, you will love these 27 Patterns to Sew Purses. Bonus! Help your workmates stay organized with these 4 Wall Organizers. Plus: Love these? Then check out our 34 Free Baby Sewing Patterns You’ll Adore! Looking for even more sewing patterns for kids? Check out this How to Make Games for Kids: Stuffed Animal Patterns, DIY Toys and Other Goodies They’ll Love list. Plus! Enter to win our Sewing Pretty Little Accessories Giveaway! Crafters and sewists, do you have a massive amount of scrap fabric and materials collecting in your craft room? If you do, this unique book offers a medley of many charming ideas for using up those scraps. 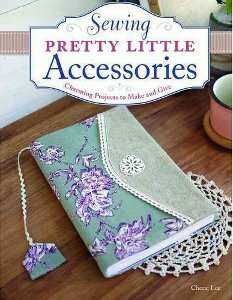 Sewing Pretty Little Accessories by Cherie Lee is one of those books that will become a project bible. You will return to it time and time again to find a funky project to create. Whether your scraps are big or small, you will find a precious little project to get started on. Read the full review. What is your favorite homemade gift to give? Gift giving is an art, and when you’re good, you’re good. But if you’re not, we’re here with some marvelous suggestions that will get your wheels turning. Nothing means more than a well-chosen gift: a present that was clearly thought out. Consider your recipient’s personality to give a gift that she’ll love. 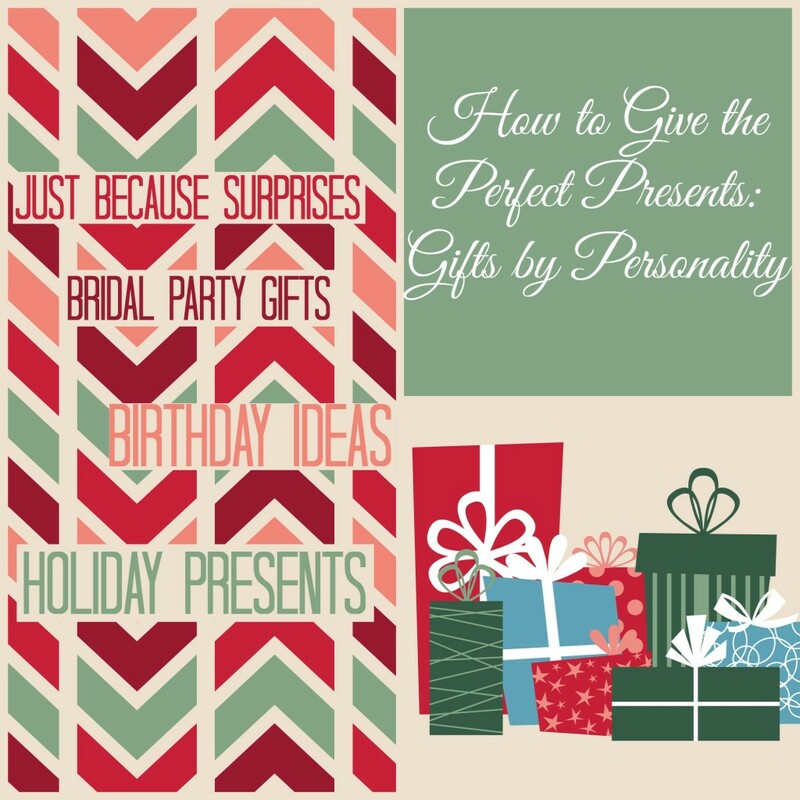 These ideas work perfectly for Christmas, birthdays, graduation, Mother’s Day, Father’s Day, or as thank yous to your ever-devoted bridal party. While many brides give all of their bridesmaids the same gift, personalizing your presents will really show your deep appreciation. Your bridal party puts a lot of time and money into your event, so thank them with presents they’ll love. The best part about these perfect presents is that they pair a DIY project with a complementary suggestion, saving you money and putting even more love into the gift. These ideas are guaranteed to garner many thanks and smiles. Give this with a gift certificate for a manicure, pedicure, or massage. This is great to pair with earrings or a small necklace with each recipient’s initial. Surprise the sports lover in your life with this adorable DIY and tickets to his favorite team’s game. If you want to spend less than that, get him a glass etched with the logo or special-edition apparel. Wrap these up with a bottle of wine. Together with a new cookbook, this gift will blow your food-loving friend out of the water. Give the coasters with a newly released game he hasn’t got his hands on yet. 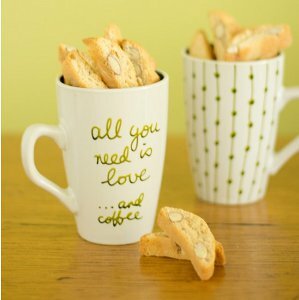 Pair this with a jar of her favorite coffee or even a coffee maker. Alongside this fancy handkerchief, give your best man an old-fashioned shaving kit. He’ll love you forever. Inside the bag, place a gift card for her favorite store. Click here for more DIY inspiration and gift ideas. Which of these gift sets would you love to receive? Throughout this week, I embarked on a crafting adventure that continued daily the instant I returned from work. It began as a mere idea on Monday, and by Friday it had transformed into the finished product. 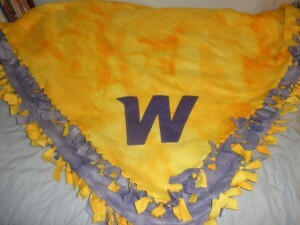 My friend is going to be a freshman at Western Illinois University, and I decided to make her a no-sew fleece tie blanket using WIU’s school colors, purple and gold. It’s an easy process that didn’t take long at all, so I was finished by Wednesday, but I felt that something was missing. That’s when I came up the idea to cut out a ‘W’ in purple felt and sew it on with a fancy applique stitch. That’s how I turned a simple, new-sew blanket into a sewing craft. Go figure! If you’re interested in making a blanket like this one and want to learn how, my craft is based on the No Sew Fleece Blanket from AllFreeKidsCrafts.com. This craft project took a few hours to make, but if you don’t have that kind of time to spare then try these 30 Homemade Gifts for Kids to Make. Whether it’s Mother’s Day, Christmas, or your BFF’s birthday, it seems like you’re always in need of a great gift. There’s no use in spending money on a store-bought gift when you can create one that’s even better at home. There’s nothing better than watching someone’s face light up as they open up a gift from you. If you start off your gift with a homemade card, things can only get better. 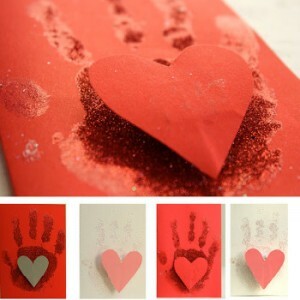 Easy homemade gifts that come from the heart like the Hand Print on My Heart Card are the best kind to give to your loved ones. All of the crafts in this gift guide are kid-tested and guaranteed to be a blast. Whether you’re using fabric, tissue paper, or sparkles, these homemade gifts for kids to make will make card making so much fun. Get in the the ho-ho-holiday spirit with these great homemade Christmas gift ideas. You won’t be spending big bucks on any of these gifts. Instead you can spend the time you save with your friends and family this holiday season. Use materials you find at your home to be a thrifty crafter. The Priceless Candle Holders are a great gift to keep someone warm. 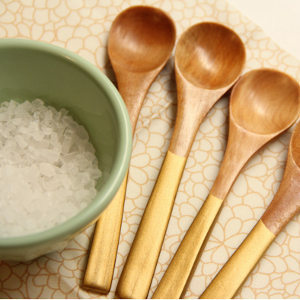 This easy homemade gift looks like a million bucks but it won’t cost a dime. Christmas is the time of giving, so make sure all of your presents are homemade gifts for kids to make. You know your mom is the best, so why not give her a gift that’s as cool as she is? Use this gift guide to find the perfect craft to make with dad so you can surprise mom on Mother’s Day or her birthday. The Printed With Love Apron craft is so cute and something that she will love to wear around the kitchen or in the garden. Mom does so much for you, and there’s no better time like the present to give her a present! Say thank you with an easy homemade gift from your heart to hers. It’s a great feeling to see momma smiling and knowing that it’s because of you. Birthdays are the best days out of the whole year. You get presents, cake, and a pinata; what’s not to love? You love getting gifts on your birthday, so make a friend’s birthday just as fun. Use this gift guide to craft a wonderful gift like the You’ve Got Mail Pinata, which is a pinata that can be mailed all over the world. What is your favorite gift that you’ve ever received?